New York: G. Schirmer, 1897. First Edition. First Edition; Octavo; G+/no-DJ; Spine is brown, gold text, a few stains on spine; Back boards are stained, bumping to corners, some edge wear, joints and hinges cracked but intact; Text block has age-toning, some foxing on a few pages, content is clear, binding is strong; pp 379. Shelved Rockville Bookstore. New York: New Directions Books, [published by James Laughlin], 1945. Hardcover. Octavo; VG/Hardcover; Beige spine with burgundy and gold gilt text; Moderate shelf wear and age to covers, partial cracking of leather at front cover spine head, decorative rings on spine, patterned design on front cover, rubbing to surfaces; Binding solid, previous owner's inscription on front free end page, a few end pages have creased corners, a few front pages have moisture creasing; Foxing, age toning and spotting along text block exterior, extending to parts of page edges, text block clean; 345 pp. FP New Rockville Stock. London: William Hienemann, 1960. Reprint. Reprint; Octavo; VG+/VG; Spine is yellow, red, and black with yellow and red text; DJ has general shelf wear, edge wear, foxing to edges and back of DJ, age-toning to verso, design is clear; Boards have edge wear, joints and hinges are strong, light rubbing and bumping to corners; Text block has general signs of handling, slight age-toning, content is clear, binding is strong; pp 178. Shelved Rockville Bookstore. Philadelphia: Lea and Blanchard, 1850. New and Condensed Edition. SIZE: Octavo in dark brown boards with gilt text on spine. No dust jacket. BINDING: Spine is beginning to split from boards. BOOK CONDITION: Good CONDITION DETAILS: Text block aged. Pages good. Minor shelf wear. STORE: Dupont Circle SHELVED: Locked case PHOTOS ONLINE: Yes COMMENT: 332 pages + 46 pages of the publisher's advertisements for new books DCODE: 20121123. Shelved Rockville Bookstore. London: B.T. Batsford, 1975. na. Small quarto, VG/VG, in cloth; DJ spine is red with white and black title. Shelfwear; edges of DJ wrinkling; DJ fading, esp. at spine. 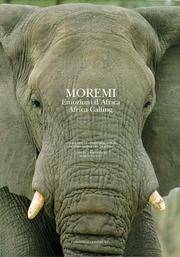 ISBN 0713429739. Shelved Rockville Bookstore. Baltimore: The Johns Hopkins University Press, 1992. Hardcover. Octavo; VG/VG/ Hardcover; light yellow spine with blue text; fives volumes are in uniform condition; dust jackets are clean; boards are sturdy and clean; with the exception of slight marks at the fore edges, text blocks are clean. 1. 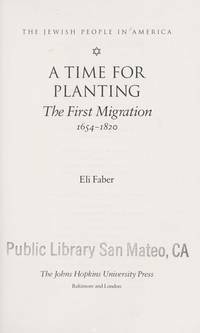 A Time For Planting: The first migration 1654-1820/ Eli Faber; 188p. 2. A Time For Gathering: The Second Migration, 1820-1880/Hasia R. Diner; 313p. 3. A Time For Building: The Third Migration, 1880-1920/Gerald Sorin 306p. 4. A Time For Searchig: Entering The Mainstream,1920-1945/Henry L. Feingold; 338p. 5.A Time For Healing: American Jewry Since World War II/Edward S. Shapiro; 313p. FP New Rockville Stock. Baltimore: The Johns Hopkins University Press, 1992. Hardcover. Octavo; VG+/no-DJ; hardcover; light blue and navy blue spine, gild and navy blue text; slip cover has general shelfwear, minor rubbing; all volumes' boards strong, clean; all volumes' text blocks clean; Volume 1 - A Time for Planting, 080184343X; Volume 2 - A Time for Gathering, 0801843448; Volume 3 - A Time for Building, 0801843456; Volume 4 - A Time for Searching, 0801843464; Volume 5 - A Time for Healing, 0801843472 [Oversized book. Additional postage necessary for expedited/international orders. Economy International shipping unavailable due to weight restrictions. For international expedited please inquire for rates]. Shelved Rockville Bookstore. London and Boston: Faber and Faber Ltd, 1987. Octavo, 276pp. 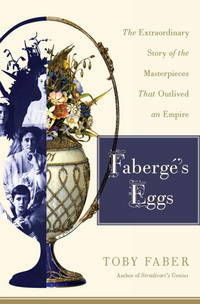 Hardcover with dust jacket in VG/VG condition. ----Spine is black with white text. Bumping and shelf-wear. Dust jacket is bright and clean. No markings or creases to the text. Binding is sturdy. Shelved Rockville Bookstore. New York: Random House, 2008. First U.S. Edition. Octavo; vg/vg; dj, glossy 3.25" dark blue color block (white text) near head of matte cream spine with author's name directly below; dj, light shelf wear; HB, blue spine with gilt lettering; boards, minor shelf wear and bumping; text block, clean; note in ink, half-title page; illustrations in color and B/W; 302pp. Shelved Rockville Bookstore. New York: The Macaulay Company, 1924. Reprinted. Hardcover. 12mo; pp 336; G/no-DJ; red spine with black text; cloth shows slight wear to exterior; some wear to edges and corners; light sunning to spine; text block shows some age toning to exterior edges; previous owner's name to front pastedown; light toning to interior; slight cracking to rear gutter. FP New Rockville Stock. Lancaster PA: American Phytopatrhological Society, 1926. Reprint. Octavo; good+/wraps; gray spine with no text; front with black text; ex libris, pencil signature, Absolon, title-page; minor shelf wear and bumping; text block, clean; 66 pp. 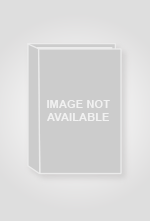 ; frontispiece and photos; split start, front hinge; spine sunned; else very good. Shelved Rockville Bookstore. Aarau: bt Kinder-Taschenbuch, 1969. Softcover. 12mo; G+; Paperback; Spine, yellow with black print; Cover has mild shelfwear, creasing to front, mild edgewear; Text block clean and tight, age-toning to pages; Text in German, translated from Dutch; 172 pages, illustrated. Shelved Rockville Bookstore. Milan: Casa Editrice S. Lega Eucaristica, 1924. Text in Italian; Octavo; VG/no-DJ; Brown leather spine with gold text. Boards have general shelf wear, rubbing to edges, minor bumping to corners, apart from that, clean, binding strong; Textblock has foxing to fore edge and pages, age toned, otherwise clean, free of underlining/highlighting; pp 132 plus 64 pages of illustration. Shelved Rockville Bookstore. Italy: IL Sole 24 Ore/ E-Ducation.IT, 2007. Text in Italian; Quarto; VG/no-DJ paperback, includes Slip case; Spine is a black and green illustration with white label and black text. Slip Case has shelf wear, open tears to head, closed tear to tail, otherwise, still strong; Covers have minimal shelf wear, light rubbing to edges, apart from that, clean, binding strong; Textblock is clean, free of underlining/highlighting; pp 335; Renaissance and Italian Art; May require extra pricing for shipping international. Rockville Non-Retail Listings. Umberto Allemandi & C., 1996. Tall quarto; VG/VG; grey spine, black text; jacket has minor shelfwear, small closed tear at spine head; boards are strong; textblock is clean; in Italian and English. [Over-sized book. Additional shipping necessary for expedited/international shipping. Economy international shipping unavailable due to weight/size restrictions. Please contact seller for additional information.]. Shelved Rockville Bookstore. Gif-sur-Yvette, France: Editions Frontieres, 1987. Octavo: VG-/no-DJ: White spine with dark blue text: Covers have general shelfwear, some scuff marks, bumping at corners and head and tail of spine, inside front paste down has small area of whited out text in upper corner: Textblock has age toning, title page and back free page have age toning, otherwise clean and free of markings, folds and tears: 671 pp. Shelved Rockville Bookstore. Owings Mills: Stemmer House Publishers, 1983. 1st Edition. Hardcover. Octavo; VG/VG; hardcover; mainly cream and military green spine with black and white text; dust jacket has minor stains and close tears to the front; boards are sturdy; text block is clean; 55p. FP New Rockville Stock. Washington: Georgetown University Press, 1962. Octavo; G+/no-DJ; Light green spine with black text; Covers have rubbed exteriors with light foxing, sticker residue on rear, otherwise strong; Text block is slightly age toned with light foxing on exterior edges; pp 429. Shelved Rockville Bookstore. 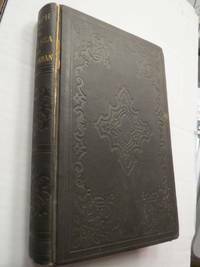 London: Hamilton, Adams and Co, 1861. quarto in leather boards. VG. Book has been rebound. Marbeled endpapers. Edge of textblock is gilt. Leather is flaking off of the boards, especially near top edge of front boards. Corner of boards bumped and rounded. Pencil writing on ffep. Book contains 12 full page color lithographic plates by Scottish painter John Faed. Binding is solid. 19 pp. total. [Oversized book. Additional postage necessary for expedited/international orders. Economy International shipping unavailable due to size/weight restrictions. For international/expedited customers, please inquire for rates]. Rockville Non-Retail Listings. New York: G.P. Putnam's Sons, 1975. Hardcover. Quarto; VG/G; forest green spine, white lettering; dust jacket has significant shelfwear, significant edgewear, large open tears and closed tears on edges, open and closed tears on fore corners, rubbing on fore corners and spine edges, rubbing on spine, pen mark on front interior flap, closed tear on rear interior flap; boards strong, slightly bowed, some shelfwear, general edgewear, rubbing on fore corners and spine edges, age toning in interiors; text block age toned, light soiling and light foxing on exterior edges; 537pp [Oversized book. Additional postage necessary for expedited/international orders. Economy International shipping unavailable due to weight restrictions. For international expedited please inquire for rates]. Shelved Rockville Bookstore.